A few days ago I posted some baseball photos of a dramatic play at home plate which stopped the action in 4 frames. Today’s post is in some respects the same, and in some respects different! 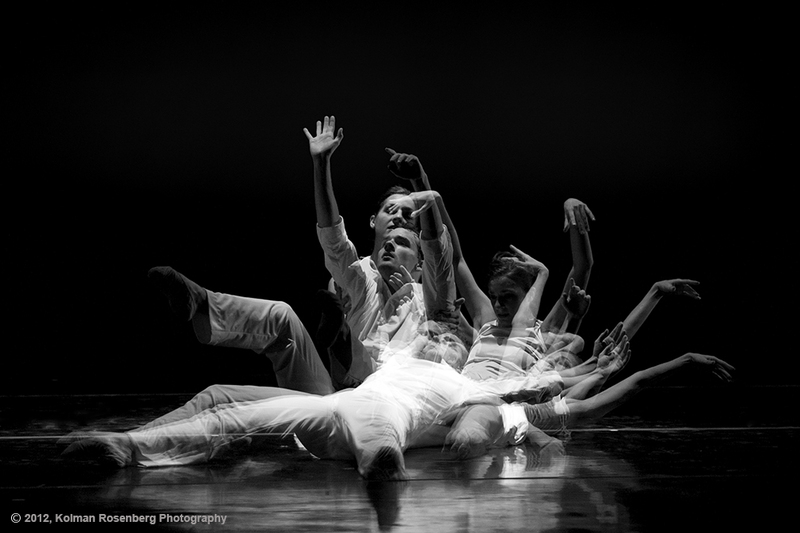 Back on February 23rd I posted some multiple exposures of a performance of Cleveland’s Verb Ballet ( https://photographyunposed.wordpress.com/2012/02/23/verb-ballet-multiple-exposures/ ). 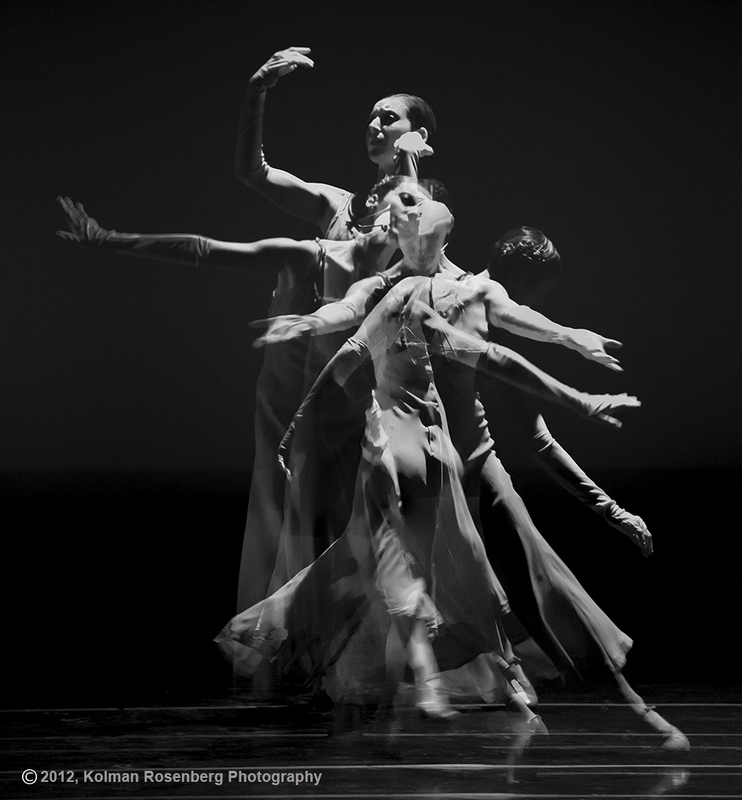 Today I’m posting some more Verb Ballet multiple exposures, but they are different. How are they different? Well as you can see, they are converted to monochrome, or black and white images. They are also documenting ballet instead of baseball. How are they the same? They are the same type of ballet multiple exposures but they are also the same in some respect to the baseball photos. They document an extremely physically demanding activity and they document a sequence of movements, but this time all combined in a single image. Two different ways of capturing a sequence of movement, two different ways of treating the photos, monochrome and color, and two different activities. The same physical skills required in an athletic event and a performing art. This entry was posted in Uncategorized and tagged action, athletic, ballet, baseball, black, Black and White, Cleveland, dance, monochrome, Multiple Exposure, OH, ohio, performance, performing art, photography, Sequence, series, verb, verb ballet, white. Bookmark the permalink. You caught some terrific motion there Kolman. We tend to see a lot of this color so I feel your b/w is quite refreshing. Thanks Stu! It’s beautiful in color but I was looking for something a little different. Glad it had the intended effect! Cool photos! Good work with that!